Elsa, Belle and Cinderella have a great plan. They want to meet some cute and nice boys, so they will go out. A night out it's a good idea, especially going to a nice club. 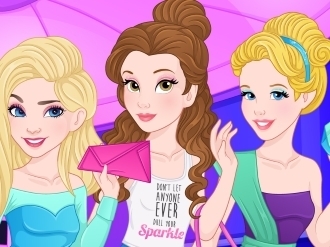 Each girl needs to look super cute in order to "catch" the boy, so help them in this new game called Disney Single Ladies, from egirlgames.net!